In a Nutshell: With its harsh winters and generally cold climate, citizens in St. Paul and Minneapolis must be resourceful. 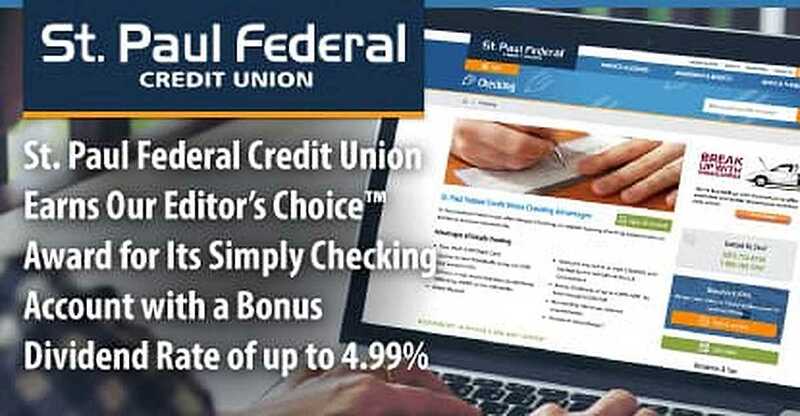 St. Paul Federal Credit Union makes it easy for its members to be financially resourceful with its free checking account that gives them the potential to earn up to 4.99% in bonus dividends each month. This exceptional checking account, along with its long history of member-focused service in the Twin Cities area, has garnered the St. Paul Federal Credit Union our 2018 Editor’s Choice Award. Gazing across Lake Mille Lacs in January, small shacks dot the seemingly endless barren white landscape, which is frozen over until the sun reaches back through the thick ice, sometime around late February. The ice shanties — tiny temporary structures erected for ice fishing in Minnesota’s bone-chilling winters — run the gamut of amenity levels and decor from bare-walled, simple shacks to fully decked out digs with multiple sleeping bunks, kitchenettes, and whatever your beverage of choice might be to keep you warm. Minnesotans don’t let the harsh, snow-laden months keep them from living their lives. There is even an ongoing art project that takes shanties to a whole new level. These little buildings are just one example of the heartiness and resourcefulness of the folks in and around the Twin Cities. As the coldest metropolitan area in the continental US, citizens of St. Paul and Minneapolis have little choice but to learn how to make the most of the resources they have available. So, taking advantage of the great perks the St. Paul Federal Credit Union offers its members should be a no-brainer. We’ve selected the St. Paul Federal Credit Union as a recipient of our 2018 Editor’s Choice Award™ for its noteworthy Simply Checking account, where members can get up to 4.99% in bonus dividends each month. St. Paul Federal Credit Union’s history goes back to 1953, when it was founded by a group of electricians to serve members of the International Brotherhood of Electrical Workers, Local 110. In 1987, membership was expanded to include family members of the union members, and once again in 2005, the credit union broadened its membership to include potentially anybody in St. Paul and portions of the Minneapolis area. We spoke to Chris Petersen, who serves as St. Paul Federal Credit Union’s Executive Vice President, Chief Financial Officer, and Chief Information Officer, about the perks of banking with the credit union, including its impressive checking account. Petersen, who has been with St. Paul Federal Credit Union for almost 20 years, is the bank’s longest-running employee (he has about 10 years on the second-longest-running employee) and was one of the creative minds behind its Simply Checking™ account. Nearly a decade ago, Petersen said, he began noticing a trend among credit unions and banks encouraging members and customers to switch from paper statements to electronic statements. Petersen saw a variety of incentive programs that were either unimpressive, too complicated, or had too many options. Nobody wants to choose between 76 checking account options, he said. Chris Petersen is the Executive Vice President, Chief Financial Officer, and Chief Information Officer for St. Paul Federal Credit Union. That’s when Petersen and the St. Paul Federal Credit Union team came up with the first incarnation of the Simply Checking account, which allowed members to earn up to 2.99% in bonus dividends on balances up to $10,000. The requirements to take advantage of this offering were fairly straightforward, Petersen said. Members had to sign up to receive electronic statements instead of paper statements, they had to use direct deposit, and they had to use their debit cards at least 20 times per month. The program was well-received by members and worked well for the credit union. Petersen said he began to play with some numbers and realized St. Paul could expand its program. Petersen said by signing up for electronic statements, members also agree to receive other electronic notices and alerts, including text alerts on their phones. And any balances higher than the qualified tiers will be paid the current default rate on the member’s respective account, according to the St. Paul Federal Credit Union website. Even if a member does not meet the minimum requirements, Petersen said all checking accounts automatically receive a 0.10% APY, so no matter what, members are going to earn something. The dividends are paid out on a monthly basis. Petersen said for the top tier account holders, who maintain a balance of $20,000, the 4.99% in bonus dividends comes out to a deposit amount of around $83 each month in their accounts. “That’s a nice chunk of money,” he said. Petersen said, more specifically, that membership to the St. Paul Federal Credit Union is open to anyone who lives, works, worships or attends school within the city of St. Paul, Minnesota. Those same guidelines apply to a defined geographical area of nearby Minneapolis as well. “Those are our two big areas,” he said. St. Paul Federal Credit Union serves the St. Paul area and portions of Minneapolis. Petersen said potential members can view an interactive map on the St. Paul Federal Credit Union website to see if they live in a qualifying area. He said membership eligibility also extends to pretty much anyone who is a member of a St. Paul union associated with trades and labor, like carpenters, electricians, pipe fitters, or sheet metal workers. The credit union also extends membership to government employees in St. Paul and Minneapolis, including the IRS, the US Department of Agriculture, US Marshall Service, the US Secret Service, Bankruptcy Court, US District Court, and more. 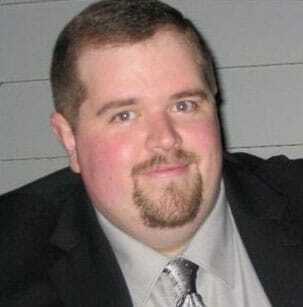 There are a number of other groups that qualify for membership in the credit union, Petersen said. The complete list of eligibility requirements and eligible groups can be viewed on the St. Paul Federal Credit Union website. At its core, the concept of credit unions differs from banks in several important ways, including operating as not-for-profit entities and sharing profits with its members through lower rates and fees. St. Paul Federal Credit Union is no different, but it takes the extra step to make sure it is serving its various audiences to the best of its abilities. “Our mission is to attain, foster, and preserve a lifetime relationship with individual members, staff, and stakeholders by implementing innovative technology and financial security,” according to the website. 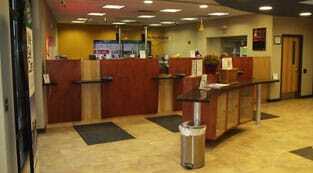 St. Paul FCU has two branches and 15 shared locations across the Minneapolis region. The credit union’s vision is to provide everyone a path to the American Dream through innovation, personal connections, education, and service. Its core values are communication, honesty, respect, consistency, passion, accountability, high ethical standards, commitment, and loyalty. St. Paul Federal Credit Union has proven its commitment to its customers over the years, in part through its Simply Checking account. But when it includes staff members as one of the groups it is dedicated to, the organization can back that claim up with actions as well. Between 2012 and 2014, St. Paul Federal Credit Union saw a very high turnover rate among its employees. Petersen told the Credit Union Journal last year about how the organization shifted to a more employee-centric approach in its hiring and retention practices. This included starting all new employees at a rate of $15 per hour, emphasizing employee fit and core values in the hiring process, and providing a tuition reimbursement program of up to $1,500 for employees taking finance courses in college. Petersen said as a direct result of the organizational changes, the credit union saw a drop in their turnover rate, added five new positions, and was named one of the Best Credit Unions to work for by Credit Union Journal in 2017 and 2018. These types of practices illustrate to St. Paul Federal Credit Union members that the organization really does put people first, and if it perceives a problem, it will work to resolve it. With a bonus dividend rate of up to 4.99% and the potential to receive nearly $83 a month through St. Paul Federal Credit Union’s Simply Checking account, members can save up for a state-of-the-art ice shanty for their next ice-fishing excursion, or, for the less-outdoorsy among us, stocking up on blankets also sounds like a solid investment. Either way, by banking with St. Paul Federal Credit Union, members can be sure they are putting their resourcefulness to good use.